A Room for the Whole Family! My client needed her upstairs play room to be multifunctional. Yes, it was a place to keep toys and watch fun movies with the kiddos, but her husband also used this space as his home office and soon, the boys would be doing homework up there as well. Challenge accepted! We got rid of every piece of furniture in the room with the exception of the TV and TV table. 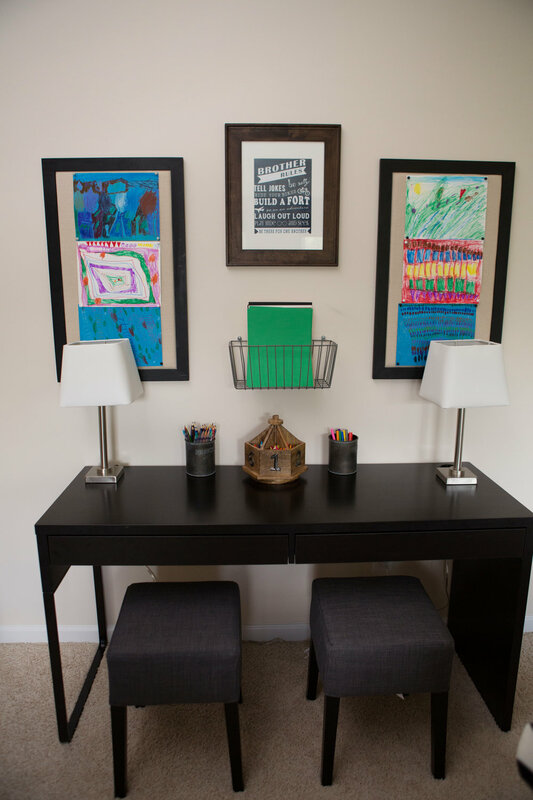 We needed comfy, durable furniture for the kids, desk and storage for the husband, and art and homework areas for the boys. And don't forget plenty of toy storage! The room wasn't large in size, but that didn't matter. I think you will see amazing things can be done as long as you lay the room out correctly. 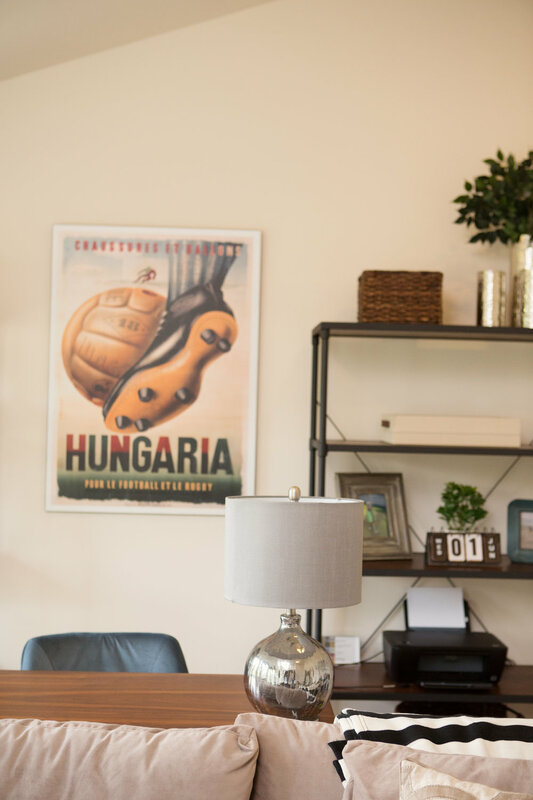 We created a cozy, functional and fun family room/office/play room for all to enjoy!